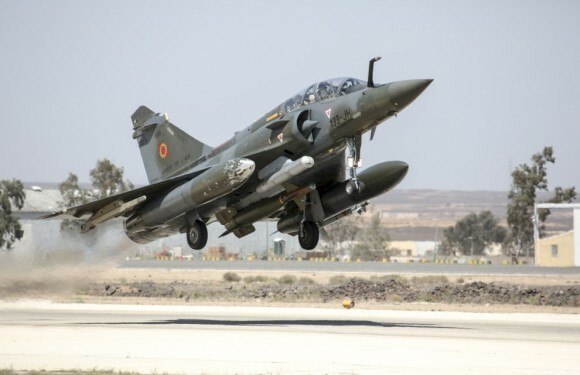 Segundo notícia publicada pela Reuters nesta quarta-feira, 19 de novembro, a França vai enviar seis jatos de combate Mirage à Jordânia para atacar alvos do Estado Islâmico (EI) no Iraque. A informação foi dada hoje pelo ministro da Defesa Jean-Yves Le Drian. Dois diplomatas franceses disseram à Reuters, no dia 13, que o envio dos jatos para a Jordânia permitirá ampliar o número de missões contra o EI e ajudar a reduzir custos, numa fase em que o governo está sob pressão para cortar gastos. 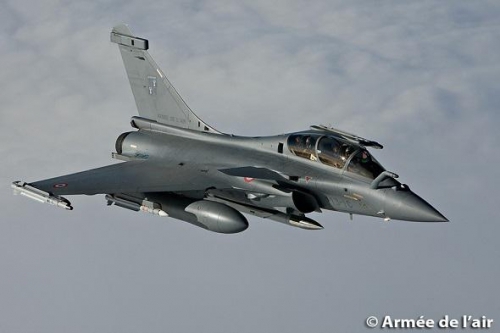 Rafale em simulação de ataque nuclear. 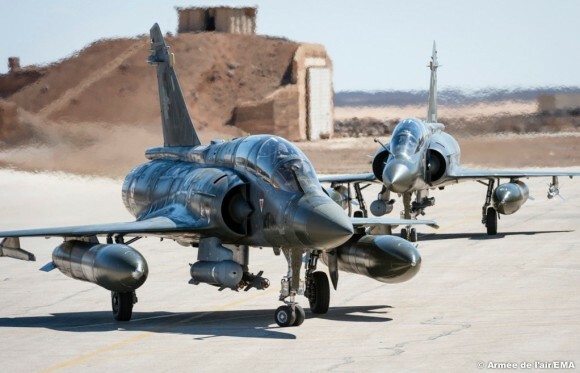 Em nota divulgada nesta quinta-feira, 16 de abril, o Ministério da Defesa da França informou sobre as missões realizadas na última semana pelos jatos de combate de sua força aérea e marinha que participam da Operação Chammal, que é a contribuição francesa à luta realizada pelo Iraque aos combatentes do Estado Islâmico (EI, também denominado Daech). Segundo a nota, a “força Chammal” realizou no período 51 surtidas, das quais 12 resultaram em ataques que neutralizaram 17 objetivos. General Atomics Aeronautical Systems Inc (GA-ASI) has delivered a third Predator B/MQ-9 Reaper armed reconnaissance unmanned aerial vehicle (UAV) to the French Ministry of Defence, the company announced on 29 May. The initial two Reapers accumulated more than 4,000 flight hours in just over one year, GA-ASI said in a statement. Those aircraft entered the fleet in January 2014. Pilots and sensor operators from Squadron 1/33 'Belfort,' 709 Air Base Cognac-Château Bernard, use the aircraft to provide battlefield situational awareness, combat search and rescue data, and other troop support. The current Reaper configuration features a 850 lb (386 kg) internal and 3,000 lb external payload capacity. 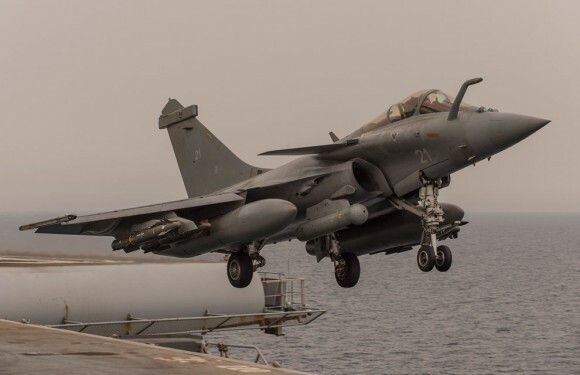 The Ministry of Defense of France announced on Friday the successful testing of a new nuclear, air-launched cruise missile. The nuclear cruise missile weapon system, Air-Sol Moyenne Portée Amélioré (ASMPA; medium-range air to surface missile), by MBDA, is an enhanced variant of ASMP. A two-seat Rafale fighter of the 01/091 'Gascogne' Fighter Squadron took off on Thursday for a test that brought together all the charachteristic phases of an airborne nuclear strike mission which culminated with the firing of an ASMPA missile, without a nuclear warhead, at its target in the Missile Test Center in Biscarrosse, the Ministry of Defence said. 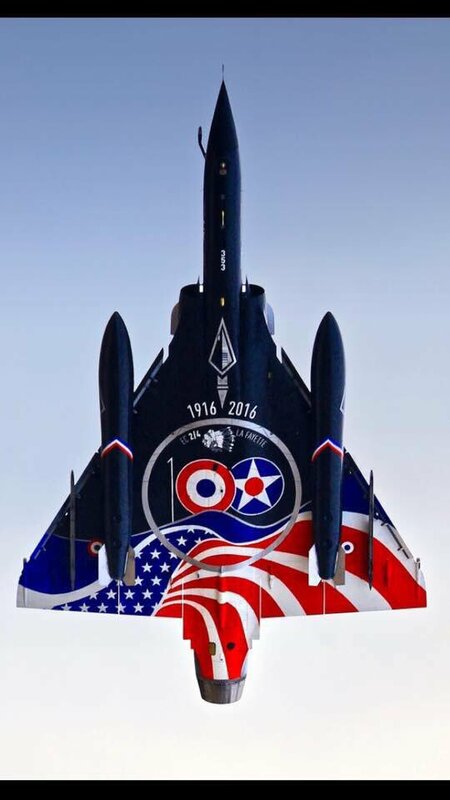 France has invited manufacturers to compete to replace the country's Alpha jet trainers, with a formal request for proposals (RFP) expected by year's end, officials said at the Paris Air Show on Tuesday. An Italian industrial source said that Alenia Aermacchi had been asked for information in April about its under-development M-345 jet trainer, and had submitted its candidacy on June 1. A formal RFP was due in the autumn, he said. The potential order could be 20 to 25 aircraft plus ground training systems and 12,000 flight hours a year, the source said. Czech firm Aero Vodochody is also set to compete with its New Generation L39, an update of its L39 trainer, and expects an RFP "at the very end of the year," an official said in Paris. 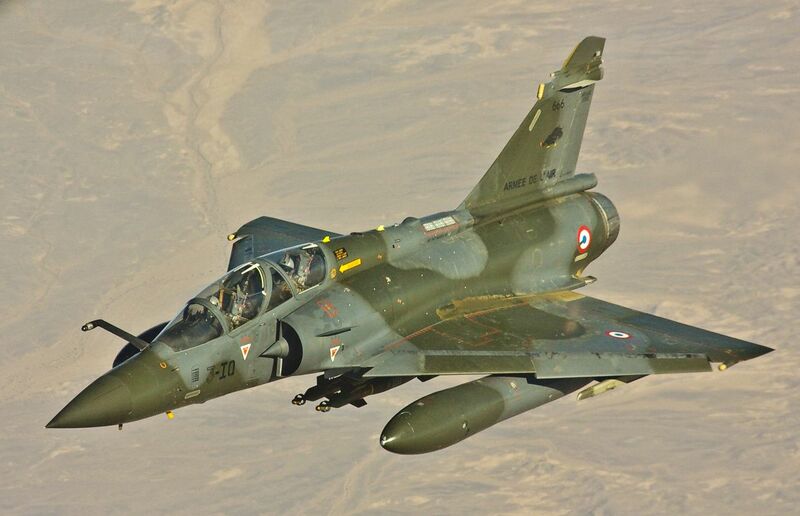 A spokesman for the French Ministry of Defence declined to comment when asked about the pending competition. Other aircraft likely to compete are the Pilatus PC21 and the Beechcraft T6. Centenário do Esquadrão "La Fayette"